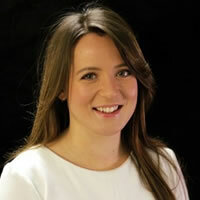 Dr Jessica Bell is a Research Fellow in health law and emerging technologies. Her research focuses on the legal and governance issues that arise from the establishment of large-scale research infrastructures such as biobanks and data-sharing networks. Her legal analysis examines the many obligations involved in private law and public law as well as exploring the issues of research governance, privacy protection and the public interest. Jessica joined the Melbourne Law School as a Research Fellow in April 2017 and will be working alongside Professor Jane Kaye to build collaborations between the Melbourne Law School and the Melbourne Biomedical Precinct, including the University of Melbourne’s Centre for Stem Cell Systems (Department of Anatomy and Neuroscience) and Stem Cells Australia Network. Jessica provides research and policy advice on topics such as privacy and data protection; the regulation and governance of emerging technologies and genomics; and the use of digital technologies for translational research. Before joining the Melbourne Law School, Jessica worked as a Researcher in Law at the HeLEX Centre for Health Law and Emerging Technologies (HeLEX), at the University of Oxford. Jessica provided legal support to the UK Economic and Social Research Council funded Administrative Data Research Network (ADRN) to develop standards and best practice for the linkage and secondary use of administrative data collected by the government and public authorities in the UK. The ADRN is a major partnership between government and academia to improve secure access to administrative data for public benefit research. This required expertise in EU and UK data protection law and analysis of the implications of cross sector data linkage and sharing of health and administrative data. Jessica has also spent time as a Visiting Researcher at the Brocher Foundation, Geneva, the Centre for Science, Technology, Medicine and Society, UC Berkeley, and at the Centre of Genomics and Policy, McGill University, Montreal. Jessica holds a PhD from the University of Sheffield, UK, an MA in Biotechnology, Law and Ethics from the same Institution, and has experience teaching Tort Law.